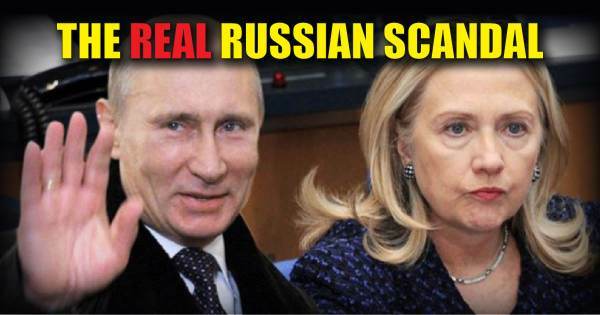 Secret FBI Informant In Uranium-One Deal Reveals Proof of Wrongdoing: He Personally Bribed Russian Official! William D. Campbell has come forward as the secret FBI informant in the Uranium-One deal. The informant revealed he is eager to testify because of his “concerns about Russia’s activities in the United States, but declined to comment further,” reports Reuters. According to a report by Andrea Noble, Campbell personally bribed a Russian businessman working for state-owned energy giant Rosatom. The informant then attempted to recoup the money — but failed. As The Gateway Pundit’s Jim Hoft reported on Thursday evening, Investigative reporter John Solomon told Sean Hannity that the Campbell has video of briefcases full of money in the bribery of case on Hillary Clinton. The informant will testify next week before Congress.